97 points - Last tasted on June 11, 2007 - Tasting notes here. 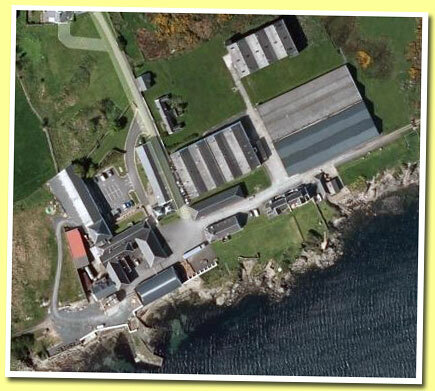 The Ardbeg distillery lies on the South shore of Islay, close to the other 'Kildalton' distilleries (Lagavulin and Laphroaig). This coast line is home to some of the scary peat monsters that sometimes keep me up at night... The style of the Kildalton malts often has some more... More on Malt Madness. In our opinion: Ardbeg has reached cult status at the turn of the 2000’s thanks to some constantly thrilling whiskies, including a new Ardbeg Ten, and rather clever CRM (Customer Relationship Management), using real life people such as the distillery manager and his wife at length. They switched from rather large vattings (how many great old casks did the previous owners kill by doing the crazy 30yo ‘Very Old’ at 40%?) to single casks bottlings that were soon to appeal to collectors and malt lovers alike. The problem is that prices consequently surged to the point where around 2005, no ‘regular’ malt lover could afford an old single cask Ardbeg anymore. Around 2006-2007, several collectors and drinkers decided to quit collecting Ardbeg, as there’s been a rather huge clash between the clever below the line campaigns, that built a great 'friendship capital' and that managed to make many aficionados brand loyal and the new price policy that made them feel, err, cuckolded. Furthermore, some extravagant new products (Serendipity, Ardbeg Mor, the 1965, the ‘gun case’) rather worked like repellents in our opinion. It is now to be wondered if under the new owners, Ardbeg will definitely lose its cult status among the fanatics, who believe that it’s themselves who decide on what’s really premium and what’s not and not London or Glasgow marketeers, or if it will be revived. Well, the answer may lie in the warehouses and in the owners' ability to show a little restraint as far as pricing is concerned. June 28, 2009 update: a rare Ardbeg 1974 (36 bts only) fetched 8,114 Euros on whiskyauction. The Ardbeg mania goes on despite the recession. Other single casks go above 1,000 Euros. What the pros had to say: "I have been visiting the Distillery for nearly 30 years - long before anybody had heard of Ardbeg. And because I have long regarded this the finest Distillery in the world, I actually try to handicap the sample to iron out any natural bias. " - Jim Murray, October 12, 2007 in a Glenmorangie Company press release.